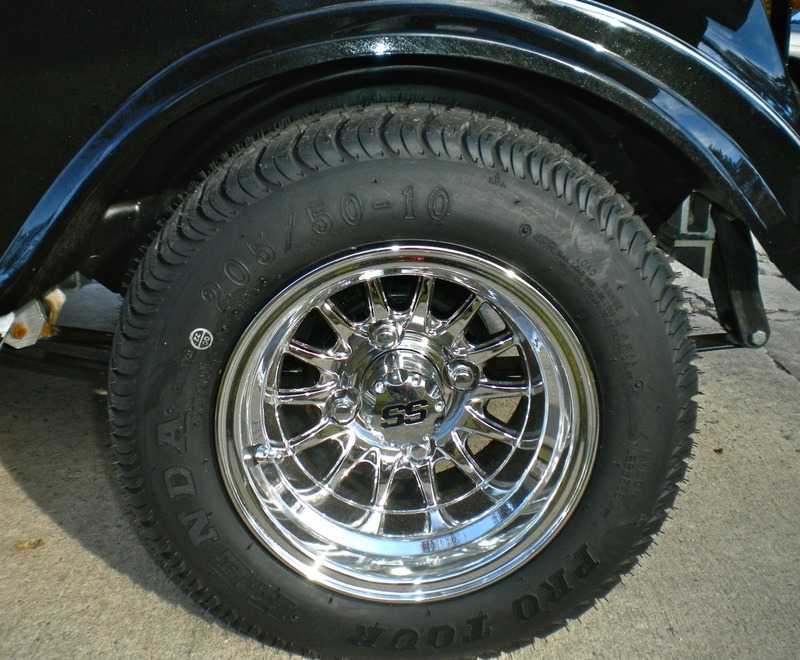 Golf cart wheels and tires can be simply functional or provide your cart with a custom look. They can be purchased separately or as a package, saving you some serious money. Often dealers will charge to have your tires mounted onto your new wheels so be sure to ask before you make your purchase. Fit on an 8" or 10" golf cart wheel. If you are replacing a worn golf cart tire, you will find these numbers on the side of your tire. Two things to consider when buying new golf cart tires is the tire size and the tread design. 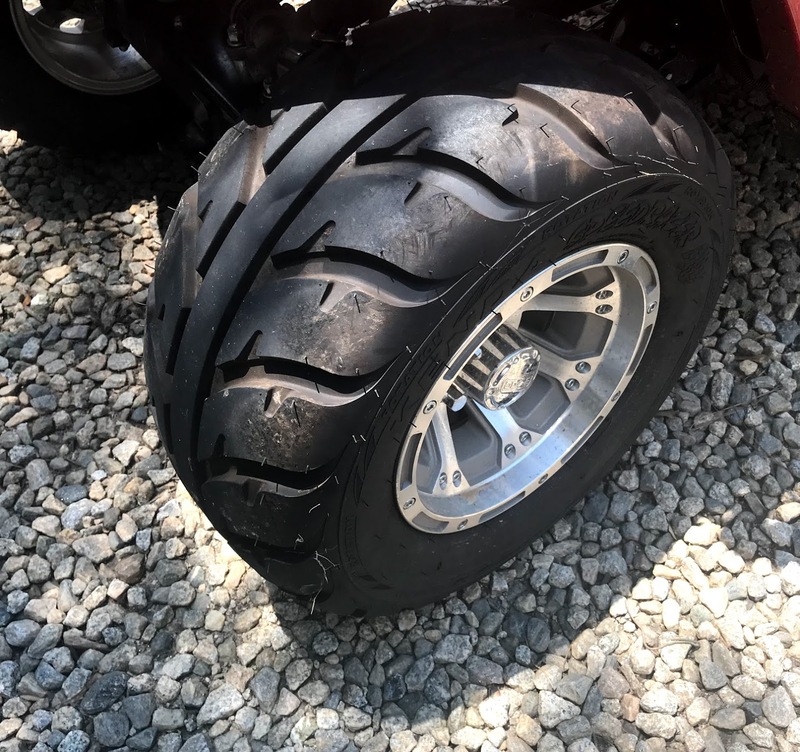 If you want to go large with your golf cart tires you can consider either installing a lift kit or going with low profile tires. Custom golf cart wheels are like frosting on a cake - you can have plain white frosting or a colorful decorated cake. Changing from plain white wheels to mirrored finished wheels - well, it's like a totally different golf cart. I just ordered a set of custom golf cart wheels and tires - you can save money by purchasing them as a set. As soon as they come in I'll post them. 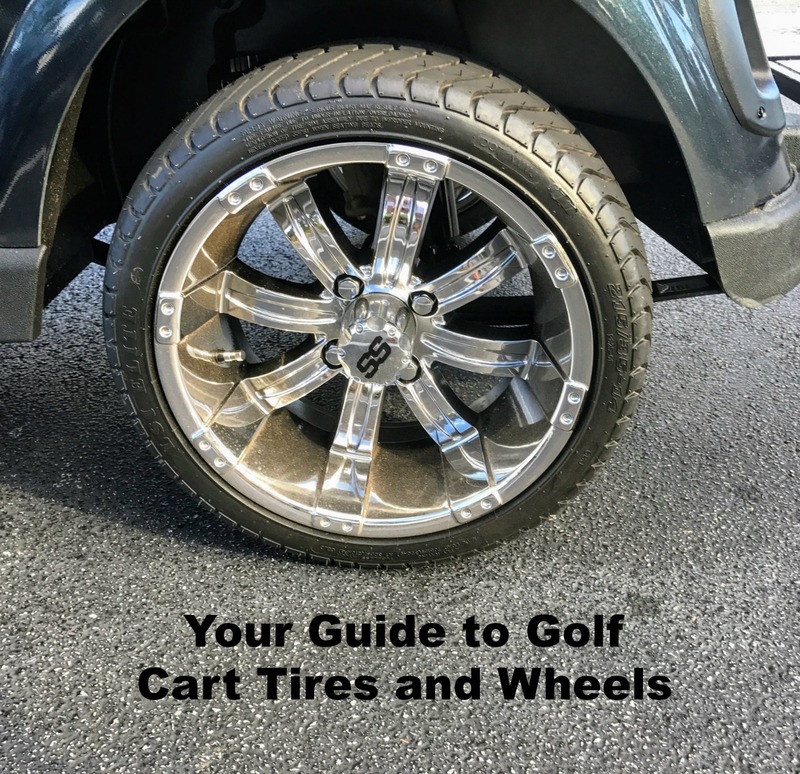 When we were in the process of buying our refurbished Club Car from Affordable Golf Carts, if ever there was a time to buy the tires and wheels as a combo, it was now. I picked out some really good, long lasting Touring tires combined with a set of stunning chrome custom wheels. "It saves us money in the long run," I told my unbelieving wife. "There are no mounting fees, the tires will last forever, and the shiny SS wheels are timeless." Golf cart wheel covers can provide a custom look without paying for a set of custom wheels. 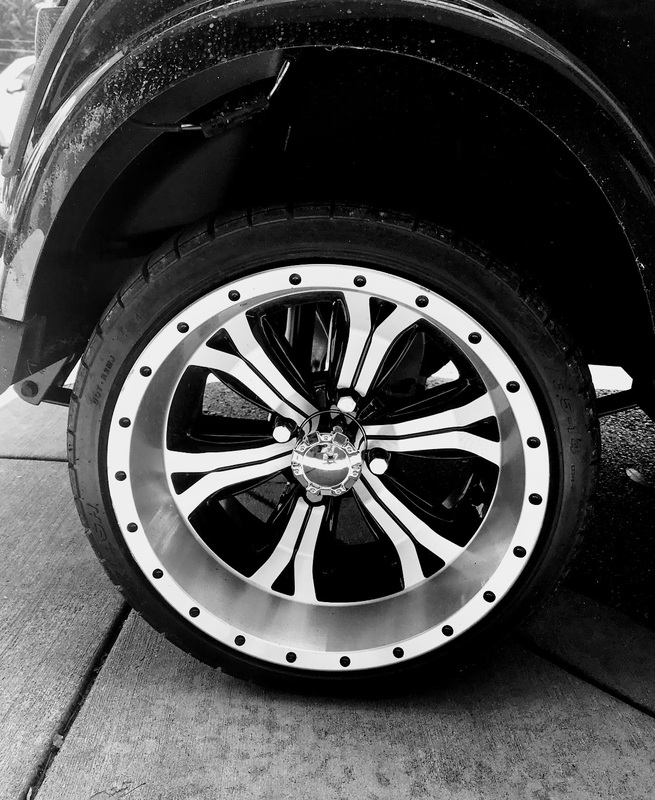 Wheel covers can virtually cover your whole wheel so it looks like a custom wheel. They are available in chrome, black, silver or gold color and sizes are 8" or 10." 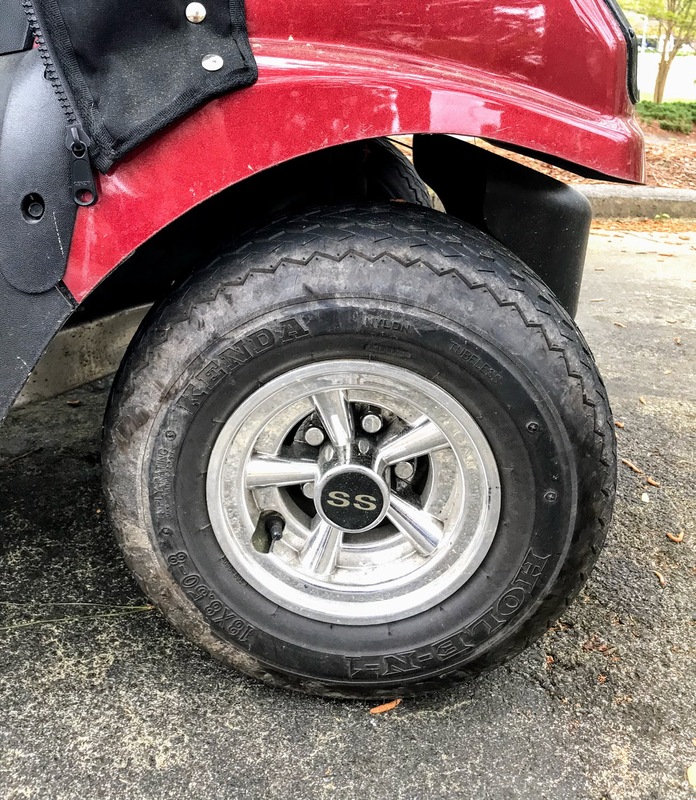 The right golf cart wheels and tires can turn any ordinary golf cart into one that is one of kind and reflects your style and personality.